Are you looking for two way radios but only need them for a temporary job or a short period of time? Professional Wireless Communications offers radio rental equipment with the features and products you need to stay connected no matter how large the coverage area. We have both analog and digital rental offerings. In addition, we have wide-area systems that provide city-wide coverage if needed. We carry portables, earpieces and headsets for nearly any application, and our expert staff will recommend the best solutions for whatever your needs may be. PWC can service you whether you need an order as small as three units to as big as 200 units. If need be, we can supplement your existing radio system, and we will mirror our rental equipment to interface with your existing radios. From music festivals to county fairs or city-wide parades, or any short-term events where communication is necessary – this is your perfect solution. We are very competitive on pricing for rental equipment. Are you in need of rentals at the last minute? We have you covered. Our radios are pre-programmed to go out the door as quickly as needed, but we can also take the time to program them special to work with your system on short notice. 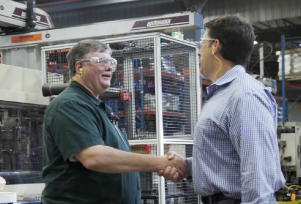 It’s a point of pride at PWC that so many of our new customers often become repeat customers because they are so satisfied with their service and equipment performance. Professional Wireless Communications has one of the most experienced and capable technical staffs in the region with a combined 120 years of experience. Our radio system design and development services are second to none. Our in-house technicians will complete your new equipment set-up and installation on-site to ensure the job is done right and working properly. We perform coverage tests to ensure your communication works where you need it. 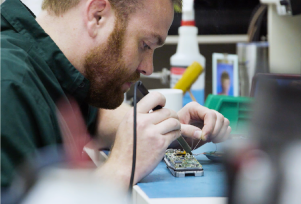 PWC is a full-line repair depot and systems integrator. 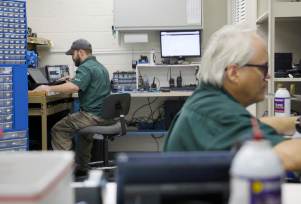 We provide localized repair service for all brands of two-way radios (portables and mobiles) and most other radio equipment, and also offer a 24-hour emergency repair service.